10 Row Level Security coming soon…. 11 Always Encrypted coming soon…. 12 Stretch Database coming soon…. PolyBase is a technology that allows us to access data outside of the database via the t-sql language. We can access data from Azure Blob Storage, Hadoop and Parallel Data Warehouse. From Microsoft – PolyBase allows you to run queries on external data in Hadoop or to import/export data from Azure Blob Storage. Queries are optimized to push computation to Hadoop. In Azure SQL Data Warehouse, you can import/export data from Azure Blob Storage and Azure Data Lake Store. PolyBase can be used to analyze both relational data and other data that is not structured into tables —notably Hadoop. This is difficult to do unless you have a way to transfer data among the different types of data stores. PolyBase bridges this gap by operating on data that is external to SQL Server. PolyBase does not require you to install additional software to your Hadoop environment. Querying external data uses the same syntax as querying a database table. This all happens transparently. PolyBase handles all the details behind-the-scenes, and no knowledge about Hadoop is required by the end user to query external tables. 1. 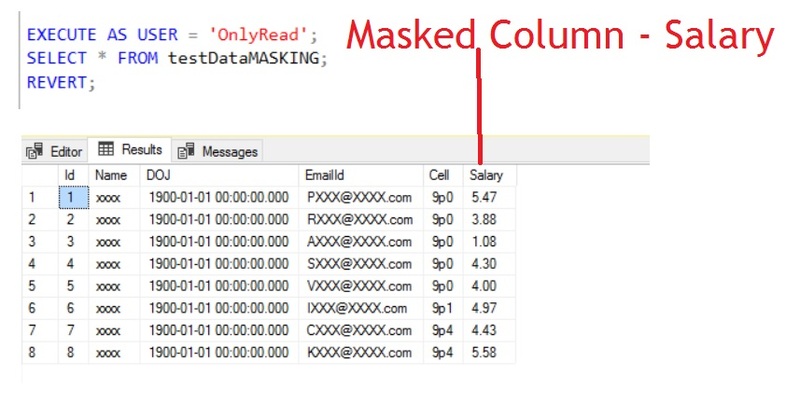 Query data stored in Hadoop from SQL Server or PDW via T-SQL. 2. Query data stored in Azure Blob Storage via T-SQL. 3. Import data from Hadoop, Azure Blob Storage, or Azure Data Lake into relational DB using T-SQL. With this we do not need additionl ETL. 4. Export data to Hadoop, Azure Blob Storage, or Azure Data Lake Store. 5. For Microsoft’s business intelligence and analysis stack, or use any third party tools that are compatible with SQL Server. To install PolyBase please follow the instructions from below Microsoft URL. To confirm the installation please execute the query given below and if the query returns 1 then it is installed and if it returns 0 then it is not installed. To configure PolyBase please refer the URL from Microsoft.